What 0% balance transfer deals are currently available to UK credit card customers looking to make a balance transfer? 0% balance transfer deals are where a credit card company offers a customer a deal of 0% interest on balance transfers for an introductory period. After this initial period any remaining balance left outstanding on the card will be charged at the credit cards normal rate of interest, typically 18.9% APR. 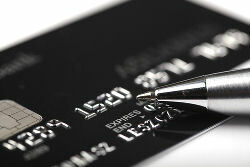 The 0% balance transfer deals available in the UK credit card market are constantly changing. The credit card companies use promotional 0% balance transfer deals as one of the main incentives to attract new customers to their credit cards. The credit card companies will frequently change the length of the 0% balance transfer deals introductory period and the size of the balance transfer fee as they compete for new customers. Often the very longest balance transfer deals or the special offer balance transfer fee deals are only available for a limited time period, so customers are advised to act quickly if they see 0% balance transfer deals suitable for their current needs. Here at Balance Transfer Expert, we have details of each and every one of the over one hundred 0% balance transfer deals currently available online to UK credit card customers. 0% balance transfer deals are available for credit cards issued for both the MasterCard and Visa payment networks, with a very small number of UK credit cards also using the American Express payment network. Customers are more likely to be accepted for the longest 0% transfer deals if they have a good credit history, no recent missed payments or bad debts and also have a regular income. « « Store Card Balance Transfer?